Taking a cue from the models who have donned makeup free looks to match their effortless street style, 2015 is all about being natural. This is a look that I personally adore. 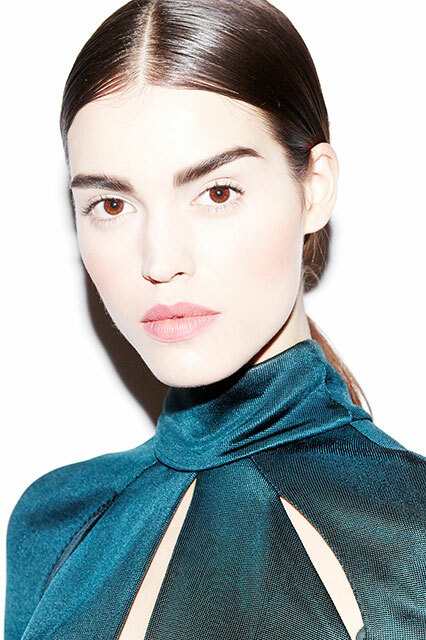 A fresh face of makeup can soften up a look to no end. But if you do like a bold color, you are in luck because warm colors are coming back in a big way. 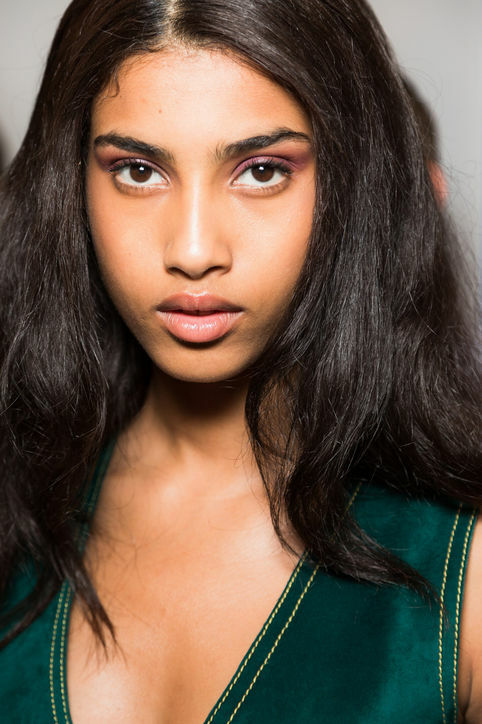 If you aren’t born with perfect brows already, trying to define them can be tricky. Often I see girls who color in their eyebrows with a color at least two shades too dark or start too far in. TIP: I use this Sephora collection pencil which allows for a super easy application. I decided to go with the lighter color (02 Nutmeg Brown) because it looked the least force. I start from the middle filling in the base of the brow then fill in the rest by working in strokes with the natural hairs already. I usually stay away from the very front of my brows because mine are feathered and I want them to look as natural as possible. Green and hazel eyed girls rejoice! Purple, a hue taken from the previous color of the year, is the best color to make your (our) eyes pop. It might scare you to go with such a bold color but there are plenty of different ways to style it, including the way featured above which is barely noticeable. TIP: Experiment from online tutorials from here, here, here, and here. Nail art is always in season. This year it is set with a minimalist affect. If portrayed right, the look can look very clean and creative. TIP: Try using a makeup applicator q-tip with a pointed edge if it requires nail polish removal. Lipstick is a constant every season. It is the type of thing that makes girls rejoice because by applying it we get that boost of confidence we seem to be missing. It also knocks us up a few points on the “feeling fabulous” scale. For 2015, we will see lots of warm colors such as red shades with hints of pink. So it is time to lock in a color that will be your staple for the season! Eyeliner has graciously returned. As a small flick of the wing in the Oscar de la Renta and Marchesa runway shows to a more dramatic look like in Saint Laurent and Cushnie et Ochs. But stay away from doing a very bold brow (as seen above) and a hefty amount of eyeliner. 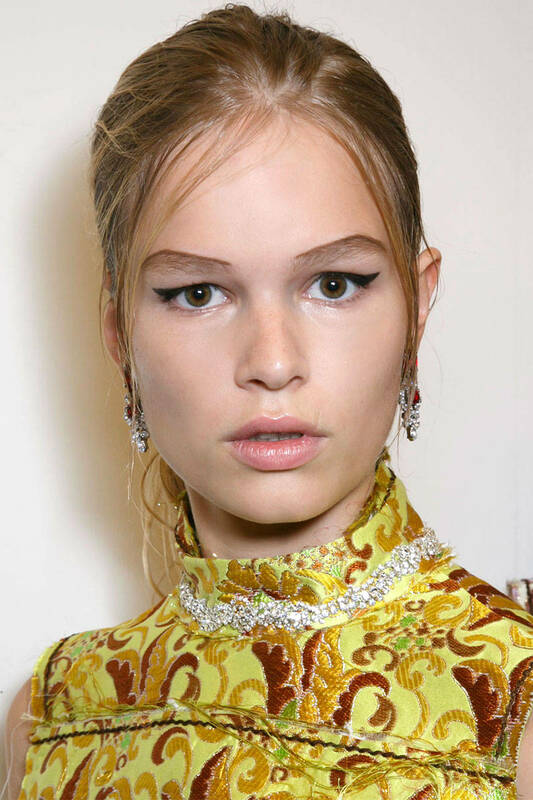 TIP: Mastering the art of a perfect winged eye is pretty tricky and sometimes difficult to master on your first try. Lucky for us, there are plenty of tutorials with step by step tips and helpful hints. 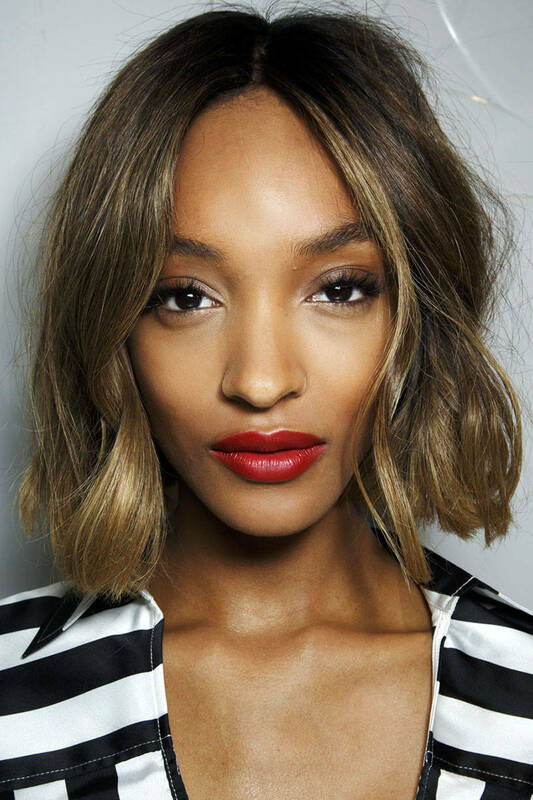 As 2015 is coming in quickly, it is my job to make sure that you start it off looking (and feeling) your hottest. What better way to feel fabulous other than being ahead of your fashion and beauty game? Within the next few days we will discuss everything you need to be up-to-date on whether it is dealing with hair, makeup, accessories or 2015’s most anticipated releases. Trust me, you won’t want to miss it.